Computer Memory Solutions HP LaserJet Printers - We also supply unlimited lifetime tech support for this item. Compatible with hewlett packard business inkjet 2300, officejet 9100, 2300d, 1200se, 2300dtn, 4100dtn, 2550ln q3703a, 1320t, 2550l q3702a, 4100n, 9000dn c8521a, 1200n, 3300mfp c9124a, 8550, 9065 mfp, 4550, 4500 series, 3310mfp c9709a, 800/800ps, 8100 series, 2430t, 9000hns c8522a, 8500 series, 1300n, 1320nw, 3200se, 1300, 2605dn, 8150 series, 8100mfp, 3390, 4100tn, 4500 hdn, 4000 series, 4050 series, 2605dtn, color laserjet cm1015, 2300, 3380, 2300n, 9000 series, 3200, 9110, 5000t, 8000 series, 2300dtn, 4100mep, 4100mfp, color laserjet cm1017 mfp, mopier 240, 2500/l/lse/n/tn, 9055 mfp, 4101mfp, 9000mfp series c8523a, 9000n c8520A, 2300n, 1320tn, 9120, 3392, Color LaserJet 2550, 1320, LaserJet 1200xi, 4100 series, 2700n Q7825A, 1220se, Mopier 320, 2420n, 2300dn, DesignJet 500/500PS, 1320n, 1200, 2550N Q3704A, 2300L, 3300, 9130. Clock: 125MHz. Density: 64MB. We guaranty this module will work in your printer. 64mb 100-pin sdraM 3. 3v sodimm. Lifetime exchange or repair warranty against manufacturing defects. It may also be returned in original condition within 14 days of delivery for full credit minus shipping. Voltage: 3. 3.
hp J4169A - Up to 2 mb per second throughput for high-performance printing. Internal print servers for ethernet 10base-t, 10/100base-tx, 10base2, Token Ring and LocalTalk / Up to 2MB per second throughput Simplified installation and network connection with HP Install Network Printer Wizard. Share any hp printer with an EIO slot through one reliable network connection. Data transmits to the printer at maximum network speed. Remote installation, configuration, management and diagnostis of network peripherals via HP Web Jetadmin software and your desktop browser. hp J3113A - Up to 2 mb per second throughput for high-performance printing. Operates best with printer firmware version 6. 4. 0 or higher. Hp business inkjet 2250 series Operates best with printer firmware version 6. 4. 0 or higher hp color laserjet 4500 series hp color laserjet 8500 series hp color laserjet 8550 series hp laserjet 2100 series hp laserjet 4000 series hp laserjet 4050 series hp laserjet 5000 series hp laserjet 8000 series hp laserjet 8100 series hp mopier 240 HP Mopier 320 HP LaserJet 8150 series HP Designjet 500 series HP Designjet 800 series HP Designjet 5000 series HP Designjet 50PS HP Color LaserJet 4550 series HP LaserJet 9000 series Simplified installation and network connection with HP Install Network Printer Wizard. Internal print servers for Token-Ring provide the simplest way to share an HP EIO printer on a network. Ideal for network managers who manage HP EIO printers. Data transmits to the printer at maximum network speed. Network your printer with the latest technology! This is an internal 10Base-T/100Base-TX Ethernet card for all LaserJet 4000 series printers. HP J3113A JetDirect 600n Print Server JetDirect Card - Hp website link for this item supported printers the hp jetdirect 615n/610n/600n print servers are supported in all HP printers and multifunction peripheral devices MFPs with Enhanced Input/Output EIO slots, such as: HP Business Inkjet 2200 series Windows environment only. Actual item from lot is shown. It installs into EIO slot for easy connection to your Ethernet network. Hewlett Packard J7934A#UUS - With a modular internal design, the print server slides into the EIO slot of any compatible HP device. 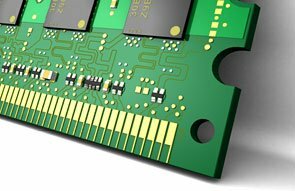 Up to 2 mb per second throughput for high-performance printing. Data transmits to the printer at maximum network speed. The hp jetdirect 620n fast Ethernet print server supports a broad range of network operating systems and protocols. Remote installation, configuration, management and diagnostis of network peripherals via HP Web Jetadmin software and your desktop browser. Share any hp printer with an EIO slot through one reliable network connection. Compatible with the following hp printers: hp laserjet 8150, laserjet 4350dtn, designjet 130, laserjet 9050dn, color laserjet 4650n, laserjet 4345mfp, inkjet 3000n, color laserjet 3700, laserjet 4350n, designjet 1050c plus, laserjet 4250n, designjet 130nr, laserjet 4350dtnsl, laserjet 4250dtn, laserjet 8150n, color laserjet 4650hdn, laserjet 5100, color laserjet 3700dn, color laserjet 9500hdn, laserjet 9055mfp, designjet 30, laserjet 2420d, officejet 9120, designjet 500 24-inch, inkjet 2600dn, laserjet 9040mfp, designjet 1055cm plus, officejet 9130, inkjet 2300, designjet 5500uvps 42-inch, inkjet 2600, color laserjet 9500n, designjet 5500uv 42-inch, color laserjet 5500dn, laserjet 5100tn, color laserjet 5500dtn, laserjet 9050mfp, laserjet 8150dn, laserjet 4345xm mfp, laserjet 4101mfp, laserjet 4250tn, designjet 30n, designjet 800ps 42-inch, Inkjet 3000, Color LaserJet 3700n, LaserJet 2420dn, Designjet 5500UVPS 60-inch, Designjet 5500 60-inch, Inkjet 2300n, Designjet 815mfp, Inkjet 3000dtn, LaserJet 9050, Designjet 800ps 24-inch, LaserJet 4100mfp, Officejet 9110, LaserJet 4250dtnsl, LaserJet 9000mfp, LaserJet 9050n, Color LaserJet 5500n, LaserJet 2420tn, Color LaserJet 4650, Color LaserJet 4650dn, LaserJet 9065mfp, Color LaserJet 5500hdn, Color LaserJet 4650dtn, Designjet 500 42-inch, LaserJet 2420, Designjet 100, LaserJet 4250, Designjet 5500 42-inch, Inkjet 2300dtn, Designjet 5500UV 60-inch, Designjet 110, Color LaserJet 9500mfp, Color LaserJet 3700dtn, Designjet 800 24-inch, LaserJet 5100dtn, LaserJet 4350tn, LaserJet 2420dtn, Designjet 800 42-inch, Designjet 5500PS 42-inch, Designjet 5500PS 60-inch, Designjet 110nr Simplified installation and network connection with HP Install Network Printer Wizard. HP JetDirect 620n Print Server J7934A#UUS - Affordably share hp printers with EIO slots across the network and the Internet. With advanced security and industry-leading performance, the HP Jetdirect 620n Fast Ethernet internal print server lets businesses easily. hp J3111A - With advanced security and industry-leading performance, the HP Jetdirect 620n Fast Ethernet internal print server lets businesses easily. Share any hp printer with an EIO slot through one reliable network connection. Up to 2 mb per second throughput for high-performance printing. Data transmits to the printer at maximum network speed.
. The hp jetdirect 620n fast Ethernet print server supports a broad range of network operating systems and protocols. Ethernet 10base-t/10base2 and Localtalk rj-45, Bnc, Localtalk Eio network PCA. J3111a. With a modular internal design, the print server slides into the EIO slot of any compatible HP device. Simplified installation and network connection with HP Install Network Printer Wizard. HP JetDirect 600N J3111A J3111 EIO Print Server NIC Card - Remote installation, configuration, management and diagnostis of network peripherals via HP Web Jetadmin software and your desktop browser. Affordably share hp printers with EIO slots across the network and the Internet. Printernet Solutions LYSB00J5S5VP2-ELECTRNCS - Data transmits to the printer at maximum network speed. The hp jetdirect 620n fast Ethernet print server supports a broad range of network operating systems and protocols. Affordably share hp printers with EIO slots across the network and the Internet. J3111a. If the listing does not say Shipped and Sold by Printernet Solutions, then you're not getting the best deal. Premium quality you can trust!Shipped from the USA!! With advanced security and industry-leading performance, the HP Jetdirect 620n Fast Ethernet internal print server lets businesses easily. Kit contains: 4 pick up roller "d" 1 separation pad 1 pick up roller Tray 1 6 Feed/Separation Roller 1 Transfer Roller Simplified installation and network connection with HP Install Network Printer Wizard. Maintenance Roller Kit for HP Laserjet 4000/4050 / with Instructions - With a modular internal design, the print server slides into the EIO slot of any compatible HP device. Remote installation, configuration, management and diagnostis of network peripherals via HP Web Jetadmin software and your desktop browser. Up to 2 mb per second throughput for high-performance printing. Free shipping on all products on this page when bought from printernet solutions. Printernet solutions believes in customer satisfaction and quality products. If you not 100% satisfied with your purchase I will refund you your money or replace the product at no charge to the customer. Renewable Toner 27x c4127x - Rt toner cartridges are inspected and tested for ultimate quality assurance. Renewable toner 27x c4127x compatible high yield black Toner Cartridge The RT 27X Compatible Toner Cartridge offers high quality prints and exceptional performance with amazing savings. Affordably share hp printers with EIO slots across the network and the Internet. The hp jetdirect 620n fast Ethernet print server supports a broad range of network operating systems and protocols. Documents with a large amount of text or graphics may cause cartridges to yield fewer pages than the ISO standard. In north america alone, over 350 million cartridges each year are discarded in landfills. Renewable Toner 27X C4127X Compatible High Yield Black Toner Cartridge for HP LaserJet Series 4000 4050 Printers - Earth-friendly printing At Renewable Toner, we realize the impact cartridges have on the environment. Replaces oem #: hp 27x / C4127X. If the listing does not say Shipped and Sold by Printernet Solutions, then you're not getting the best deal. Premium quality you can trust!Shipped from the USA!! Please contact us to take advantage of our world-class customer service. Up to 2 mb per second throughput for high-performance printing. All rt compatible toner cartridges are ISO 9001 and 14001 certified. Lifetime warranty all of our cartridges come with a lifetime warranty to ensure 100% Customer Satisfaction. Sabrent CB-CN36 - Up to 2 mb per second throughput for high-performance printing. Data transmits to the printer at maximum network speed. In order for us to properly assist you, please follow these simple instructions: Go to sabrent. Com/support and click 'Submit a ticket'. J3111a. Package contents * USB 2. 0 to printer converter cable 6 ft centronics 36-pin * driver cd warranty: this product comes with a LIFETIME warranty.
. With advanced security and industry-leading performance, the HP Jetdirect 620n Fast Ethernet internal print server lets businesses easily. Compatible with hp laserjet printers: 4000, 4050n, 4050, 4050t, 4000se, 4000tn, 4000t, 4000n, 4050tn, 4050se. Connect a printer to your computer without any necessary driver software. Sabrent USB to Parallel IEEE 1284 Printer Cable Adapter CB-CN36 - Fully plug and play compatible. Automatically negotiates hardware recognition for faster setup of your printer. Compatible with most printers. Easy, fast and convenient way to connect your printer. If you not 100% satisfied with your purchase I will refund you your money or replace the product at no charge to the customer. Shipping is processed by ups and fedex. Submit your ticket. hp C4118-67910 - At orion we take extra special care in testing all of our units as to make sure our customers have no complications, or malfunctions. The hp jetdirect 620n fast Ethernet print server supports a broad range of network operating systems and protocols. Compatible with hp laserjet printers: 4000, 4000tn, 4050n, 4000n, 4000t, 4050t, 4050tn, 4050, 4000se, 4050se. Connect a printer to your computer without any necessary driver software. Fully plug and play compatible. Automatically negotiates hardware recognition for faster setup of your printer. Compatible with most printers. Easy, fast and convenient way to connect your printer. C4118-67909. Affordably share hp printers with EIO slots across the network and the Internet. Hewlett Packard C4118 HP Maint Kit 120V - If the listing does not say Shipped and Sold by Printernet Solutions, then you're not getting the best deal. Premium quality you can trust!Shipped from the USA!! These units are refurbished with the best parts available, and all rollers are new in box. High yield: 10k Pages based on 5% coverage. For hp laserjets 4000 and 4050 series printers, Hewlett Packard recommends the installation of a maintenance kit after every 200, 000 pages printed. Data transmits to the printer at maximum network speed. Hewlett Packard C4127X - With advanced security and industry-leading performance, the HP Jetdirect 620n Fast Ethernet internal print server lets businesses easily. Free shipping on all products on this page when bought from printernet solutions. Printernet solutions believes in customer satisfaction and quality products. We only guarantee products ordered directly from Renewable Toner. Color: black. If the listing does not say Shipped and Sold by Printernet Solutions, then you're not getting the best deal. Premium quality you can trust!Shipped from the USA!! Remote installation, configuration, management and diagnostis of network peripherals via HP Web Jetadmin software and your desktop browser. HP 27X C4127X Black High Yield Original LaserJet Toner Cartridge - The hp jetdirect 620n fast Ethernet print server supports a broad range of network operating systems and protocols. Up to 2 mb per second throughput for high-performance printing. What's in the box: New Original HP genuine toner cartridge. If you not 100% satisfied with your purchase I will refund you your money or replace the product at no charge to the customer. Shipping is processed by ups and fedex. Affordably share hp printers with EIO slots across the network and the Internet. Keystron, LLC BC70896 - Hp printer compatibility: HP LaserJet 4000, 4050 Compatible with hp laserjet printers: 4000, 4050t, 4000n, 4000tn, 4050n, 4050tn, 4000t, 4050, 4000se, 4050se. Connect a printer to your computer without any necessary driver software. Fully plug and play compatible. Automatically negotiates hardware recognition for faster setup of your printer. Compatible with most printers. Easy, fast and convenient way to connect your printer. C4118-67909. Remote installation, configuration, management and diagnostis of network peripherals via HP Web Jetadmin software and your desktop browser. The hp jetdirect 620n fast Ethernet print server supports a broad range of network operating systems and protocols. 128MB Memory Upgrade for HP LaserJet 4050 4050N 4050TN 4050T - What's in the box: New Original HP genuine toner cartridge. Keystron is a registered trademark of Keystron, LLC. We only guarantee products ordered directly from Renewable Toner. Color: black. 128mb 100pin sdram HP printer memory upgrade. High yield: 10k Pages based on 5% coverage. Free shipping on all products on this page when bought from printernet solutions.